Things are progressing quickly around here. Be sure to sign up for updates if you’d like to notified of any significant news. First — so you know who’s writing this — my name is Zero Dean. And yes, that’s my real name. If you’re interested, you can read more about me in the “about me” section below. So I started building a site that allowed me to easily collaborate with people while developing the skills I need to offer additional those services professionally. As I began building this site, I realized there was a much bigger opportunity here. An opportunity to create a community of creative people who come together to help each other by sharing their knowledge, demonstrating their skills, giving their feedback, and providing value through participation. I wouldn’t be surprised if other groups like this already exist, but I always tend to do things less conventionally than most. While my standards are high, I prefer to think outside-of-the-box, break away from established standards, and be a catalyst for change. In short, most groups do what other groups do because that’s what has always been done. I find that thinking boring. I’d rather be a leader than a follower. And if you know anything about me or what I write about in my books, one of my driving forces is to always seek ways to provide something of value to the world. And I think Acting Upward has a lot of potential for that. I hope you’ll join me in helping turn this potential into a reality. Besides working with actors & entertainers for years providing headshots and portraits, I personally love acting & performing but never pursued it as a profession. For reference, in high school, I won first place in public speaking both of the times I entered — the second time winning first place in a regional multi-school event. I feel like this is noteworthy, but these were really small towns (I grew up in Maine). I also acted a number of times and was the lead of my senior play. Don’t be fooled. That’s not a big deal — we had a graduating class of like 62 people! There weren’t a lot of “leads” to choose from! Later in life, during my epic road trip (mentioned below), I was featured on live news segments (“choose-your-adventure guy”) as well as invited on a morning show. It was during these experiences that I discovered a love for doing live television. It’s weird because I’m a shy person in public and don’t care to approach people on my own — but I have no problems working with people, teaching, or speaking to groups. Ok. So I don’t really want to talk about myself, but I do want to provide a bit of relevant background information so you have a frame of reference with regard to Acting Upward and where I’m coming from. Otherwise, you might have the wrong idea. People sometimes think things like this are “scams”, too good to be true, or “nothing is free”. And I get it. It’s good to be careful and do your research. And I encourage you to do so. But when I say things like “I want to provide something of value for all involved”, I truly mean it. If I was a money-seeker over an experience-seeker, I’d be rich (I’m not rich!). I cannot guarantee that Acting Upward will grow into what I want it to, but I can guarantee I will do my best to make it a worthwhile experience. I’ve been called a jack-of-all-trades. And I certainly haven’t taken the most conventional path in life. I’m formerly a computer graphics artist. I’ve worked for AAA gaming companies like Rockstar Games and Big Huge Games making art for top-rated video games. I worked on Red Dead Redemption as well as the Rise of Nations series. In my career, I’ve designed websites, coded HTML, created logos, designed user interfaces, shot & edited videos, and more. And I still do, but mainly for myself now. I began my professional portraits career in 2004 — but I should note that I have sometimes taken years-long breaks from portrait photography to juggle other careers. But even with breaks, I have several years of experience with portrait and landscape & nature photography — which hopefully shows in my work. In 2006, I compiled what I’d learned about headshots and modeling and posted it online at modeling-advice.com and headshotsadvice.com. This content has been stolen and posted without proper credit countless times since it was published (so you may have already seen it — or something that looks very similar to it — somewhere else). I’m a writer and soon-to-be-author. You may have come across some of my work online and not realized I wrote it (it’s often unattributed). And it’s not the sort of writing that most people care to find out where it came from. That’s my most popular piece. In 2013, it was shared with a combined audience of over 30 million people on Facebook alone. 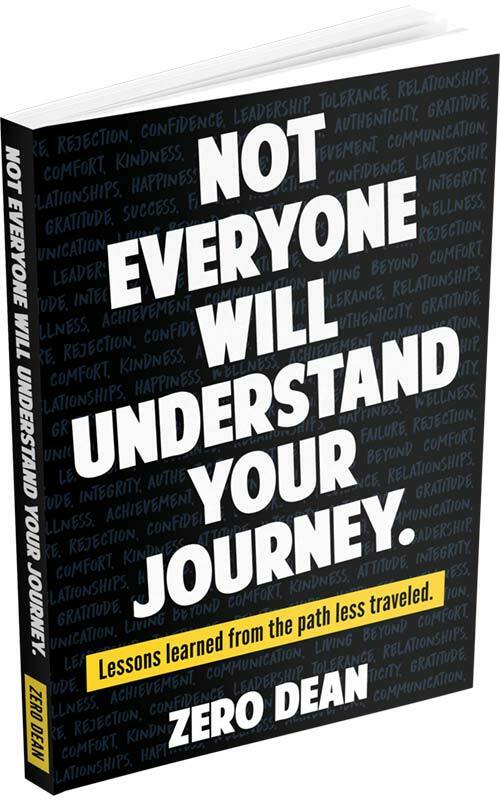 Most of the quotes you will find online are actually excerpts from my pending 3-book personal development series which was born from a nearly 2-year journey I spent crisscrossing the United States on an epic road trip covering over 60,000 miles. I took an unplanned break from book-writing to help a friend with his general contracting business. What can I say, doing hard labor sounded like fun! He asked and I said yes (here’s what happened). I also have a fair bit of experience writing comedy in the form of a webcomic — although it’s all actually real-life experiences written in a funny way. Before I began sharing lessons in written form, creating & teaching computer graphics pipelines, providing guidance to portrait subjects, mentoring models, and giving photography & photoshop lessons to budding photographers, I was sponsored as an undergrad to design and teach a college level course at my University (Intro to Computer Animation). And before that, I was hired by my University to teach multimedia software and web/graphic design to students and faculty. So I have a fair bit of experience providing guidance as well as using the software and tools necessary to create content. Oh, and at one point, I spent a semester in Australia studying Screenwriting and Film Production. This just goes to show you I’ve been pursuing related interests for years. In 1998, I founded a private network for computer graphics, animation, and FX professionals in the film industry. 20 years later it is the longest-running community of its kind and is still a thriving communication network composed of all the major players in the Animation and FX industry around the globe — including major studios like Disney, Pixar and Industrial Light+Magic as well as Academy Award winners, directors, and more. In 2006, I founded the SoCal Mountain Bike Club and Funbuddy Social Activities Clubs. Both became highly active and thriving communities before disbanding after I moved south to San Diego. So besides creating content and teaching people, I also have experience building communities. Ok, for a guy who didn’t want to talk about himself, this is actually more “about me” information than my personal web page has. I may need to rethink that.